Today’s post is part of the series that I am running under the title "Under Appreciated Features of SQL Server". The series has been inspired by Andy Warren’s editorial on SQLServerCentral.com. The pre-requisite for today’s session is a basic knowledge of connecting to a SQL Server using the command line. Batch files and command line utilities are perhaps some of the most underappreciated features of any IT establishment. When connecting to a database, we had the “OSQL” utility in the days of SQL Server 2000. There may be more features of SQLCMD, which you are more than welcome to mention in the discussion associated with this post. What many people don’t know is that the SQLCMD mode is also accessible from the SQL Server Management Studio. This gives you as a developer, the comfort of writing and executing SQLCMD files using the familiar environment of the SQL Server Management Studio. Now, click “Execute” or hit “F5” to execute the query. Navigate out to the directory – “C:TempSqlCmdOutput”, and open the “testoutput.txt” file. You can see that the combined output of the DOS-commands and the T-SQL Query is available there. When run from the command-line SQLCMD uses the OLE DB provider, whereas when run from SSMS, it uses the Microsoft .NET framework sqlclient. Because the SSMS cannot display interactive prompts, such queries cannot be executed from within the SSMS, and must be used from the command line. We can now see how the most modern SSMS interface can help us write efficient command line SQLCMD queries. I personally use the SSMS to edit production level SQLCMD queries for our product and hence I urge you all to experiment with the SQLCMD mode and experience the raw power that it has to offer. This post concludes my series on the "Under Appreciated Features of SQL Server". 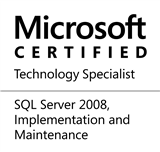 It has been great learning new stuff about SQL Server throughout writing of this series. I will be sharing a few of the nuggets that I have accumulated in the time to come. I hope that you, my kind readers will enjoy my future posts as well. This entry was posted in #SQLServer, Blog, Imported from BeyondRelational and tagged #SQLServer on May 12, 2011 by nakulvachhrajani. Sure…you can use BCP to generate a comma-separated output, which would very easily be transferred into the excel format of your choice. You can see this in action in my post [here]. I wished i would have known this initially when in my last project assignment we need to exchange results of sub-queries with client in excel sheets as requirement analysis. I did got the results in excel sheet…just faced a little challenge in it. The results were not well formatted in the sheet which discourage comfortable analysis of the result. Can we get a proper formatted result in excel with some alteration in the way you suggested above? I am very new to sqlcmd , just am trying to connect my server BUT i could’t able. If you send me the steps it would be great help.